ellehermansen: Renaa Restaurant Goes Gluten-Free for Me! Saturday night turned out to be such a wonderful night! I personally thanked Mr. Svein Erik Renaa himself for him and his kitchen staff going out of their way to make me alternative gluten-free dishes without cutting any corners on quality and service. I cannot tell you how wonderful the potatoes tasted. The portabello mushrooms were so juicy and the salmon was full of taste. All 5 courses were so freaking delicious, I will be making my way back there very soon. I did not once look for salt and pepper, as everything was properly seasoned. He was in town (along with a couple of other celebrities also eating there) to do a Norwegian version of MasterChef though, so maybe he was just enjoying the good food as well. Here is my version, of eating grapes that could be a part of the next installment of naked ingredients. 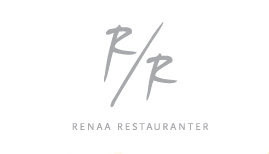 I call this one "Awkward eating 101" If you are in the Stavanger, Norway area, definitely stop at Renaa Restaurant.